Every so often, my wife and I spend a couple of days in London, and sometimes we take a literary walk. I have blogged some of these, and am now putting links to them together on one page, in the hope that they may be useful to some people. In December 2006 we walked Mrs Dalloway’s Walk,from Westminster, across the Park, and up to Bond Street, and from there traced the walk of Septimus and Rezia up Harley Street to Regent’s Park. 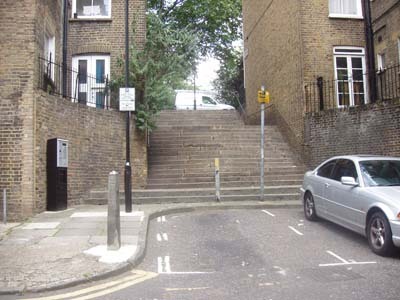 Riceyman Steps is one of the very richest novels of the twenties, and in August 2008 we took the walk through Clerkenwell that Henry Earlforward and Mrs Arb economically enjoyed one Sunday morning. If I were asked to choose my favourite sculpture in all of London, it would be Jagger’s Artillery Memorial in Hyde Park. In January 2009, Marion and I went to visit it, following in the footsteps of Soames Forsyte in Galsworthy’s Swan Song, when, with his mind troubled by the General Strike, he went to see where it “‘sot’—as they used to say—squatted like a great white toad on the nation’s life”. 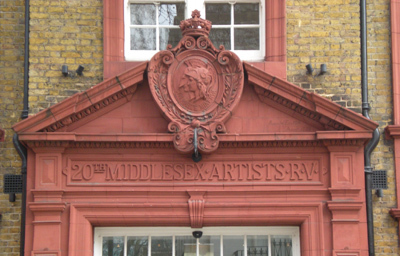 Some places in Bloomsbury, connected with Wilfred Owen and Edward Thomas. I’m wondering where we should take our next walk. I’d quite like to work out the topography of The Three Hostages, but I suspect that John Buchan was a bit inventive when it came to localities, so that might be frustrating. Instead, I think maybe we should try to track the places in Bennett’s The Pretty Lady, especially since, as Alan Pedley reminds us, Bennett once said: ‘The one thing I can’t do: write about places I haven’t seen.’ So it should all be there to find. I agree about the Artillery Memorial – one of the most moving of London’s war memorials, perhaps because (unusually) it includes a dead soldier. On literary walks: do you know Anne Fadiman’s Ex Libris: Confessions of a Common Reader? There is an excellent essay in that about the pleasures of “You Are There’ Reading. What about Fitzrovia as described in Patrick Hamilton’s Hangover Square? Isn’t Hangover Square in Earls Court? 20,000 Streets Under the Sky is set around King’s Cross- north of Fitzrovia. You’re right. I confused them.